Virat Kohli continues to touch new heights. Virat Kohli conquers new frontiers with almost every passing series, but his performances in England finally bear testament to his true greatness. 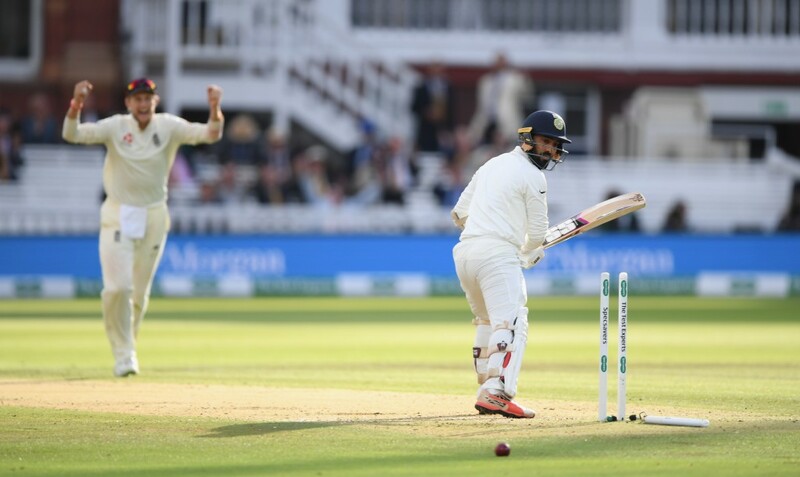 The India skipper notched up his second Test ton of the series and 23rd overall on day three at Trent Bridge as he put his side in a commanding position. The 29-year-old has well and truly banished his demons from the 2014 tour of the country where he mustered only 134 runs in 10 innings. After his latest display at Trent Bridge, he now has 440 runs in six innings in the series at an average over 73. For reference, the second highest run-scorer in the series is England’s Jonny Bairstow with 206 runs while the next best Indian batsman is Hardik Pandya with 160 runs. After the completion of the Trent Bridge Test, the India man is poised to once again overtake Australia’s Steve Smith and take the top spot in the ICC rankings for batsmen. 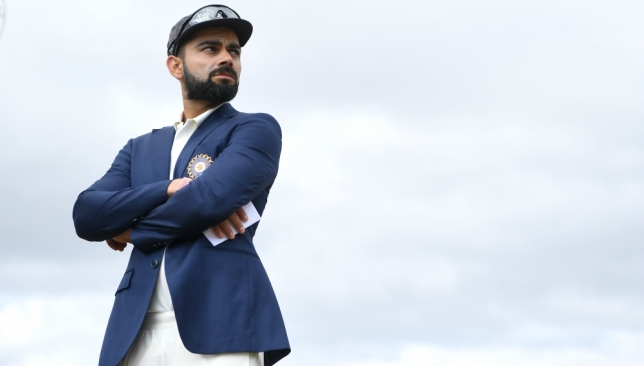 Following India’s 2014 tour of England, question marks remained over Kohli’s Test credentials even though the world had started to accept his greatness in the limited-overs formats. Since that series though, there has been a sea of change in Kohli’s approach in the five-day format. When the 2014 series ended, Kohli had six Test tons to his name from 29 matches. In comparison, Joe Root had five tons to his name from 22 matches at the same point. Now, four years later, Kohli has notched up another 17 centuries in the 40 matches to follow. Root, meanwhile, has only been able to add eight more tons to his name in the 50 matches he has played since. 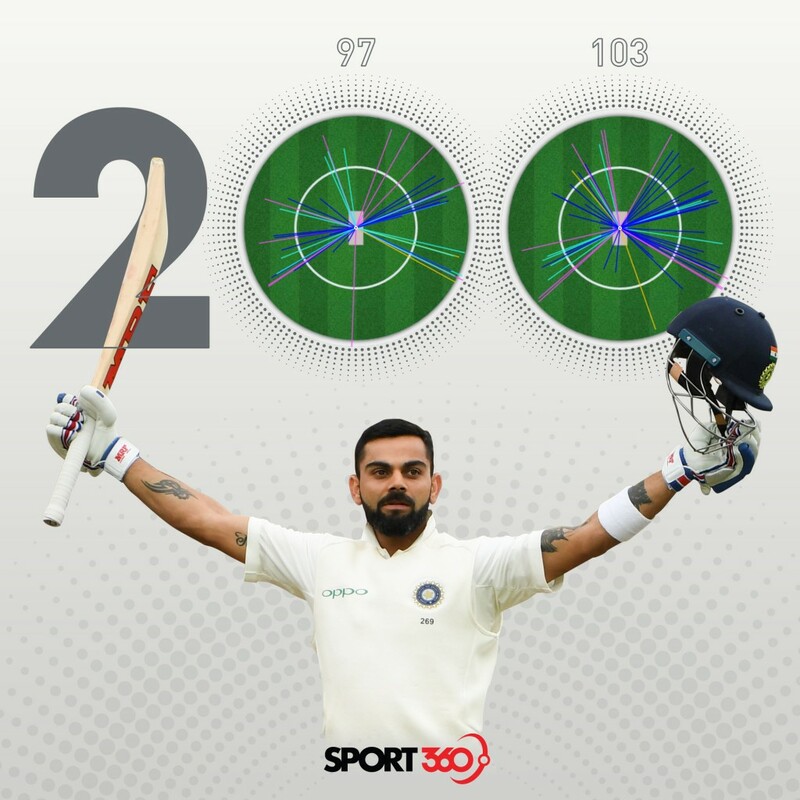 In this period, Kohli was the second highest run-getter behind Smith in India’s 2014-15 tour of Australia with 692 runs, the highest scorer in the side’s 2018 tour of South Africa with 292 runs and is on course to finish as the highest run-getter in England. It is Kohli’s relentless drive to be the very best that has set him apart from the rest of the pack. Always seeking for ways to constantly improve himself and push new barriers, the batsman has left no stone unturned in his quest for greatness. It all started with Kohli’s disappointing campaign for Royal Challengers Bangalore in the 2012 IPL. Bogged down by his own poor performance, the Delhi-born man drastically changed his training regime in order to become fitter. “My training was horrible, I ate so bad, I was up until late, I was having a drink or two regularly. It was a horrible mindset. The season ended and I was so thankful it was over. 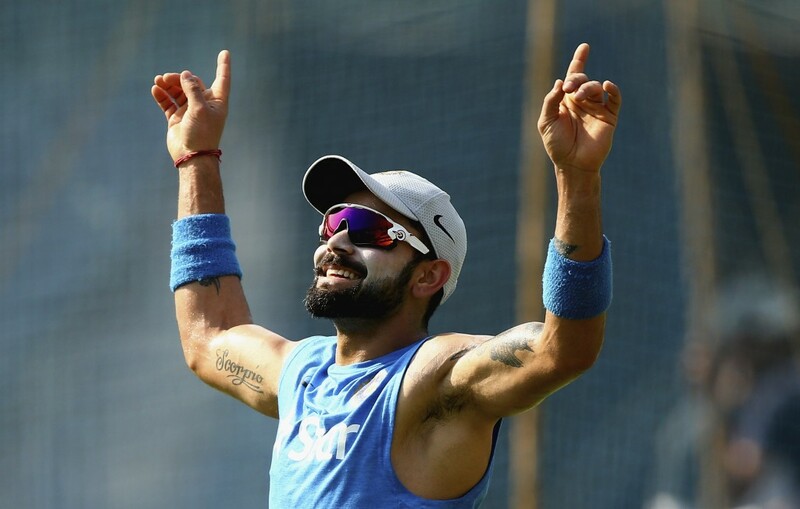 I went home, came out of the shower one day and looked at myself in the mirror and said, you can’t look like this if you want to be a professional cricketer,” Kohli had told Telegraph India. Kohli follows the most rigorous of fitness regimes. Now, he is undoubtedly one of the fittest cricketers in the world and a supreme athlete. In the 2014 series in England, his susceptibility around the off-stump was horribly exposed by James Anderson. That he looks much more assured in that area in the current series is another example of his willingness to constantly improve. When he returned from England in 2014, Kohli conducted a one-on-one nets session with his idol Sachin Tendulkar in Mumbai in order to identify his flaws. He changed his batting stance and has reaped the rewards in the overseas tours to follow. There is nothing more gratifying as a fan than to see a sportsman with extreme dedication to his craft reap the fruits of his labour. That is exactly what Kohli is doing currently and we are indeed privileged to watch him as he continues his march to greatness. Pandya is growing into his all-rounder's role for India. Ever since the great Kapil Dev hung up his boots in 1994, India has been attempting to fill the void left by the prolific seaming all-rounder to no avail. Over the years, attempts have been made to shoehorn the likes of Irfan Pathan, Sanjay Bangar and even Ajit Agarkar and Stuart Binny into the role but none of them have been able to give India the balance Kapil Dev provided. Hence, ever since Hardik Pandya burst onto the international-stage after some exhilarating displays with both bat and ball in the IPL for Mumbai Indians, the comparisons with Dev have been rift and unending. While his initial exploits came in limited-overs cricket, the 24-year-old’s ability to clear the boundary ropes with ease, athleticism on the field and the ability to bowl regularly above 140kmph has seen him being fast-tracked into the Test team as well. In the two years or so since he made his India debut, the all-rounder has managed to divide opinions sharply and has earned his fair share of critics. Of late, those criticisms have been growing with the most scathing of them coming from West Indies great Michael Holding. “I heard a mention, when I was working in South Africa: ‘he is the next Kapil Dev’. I ain’t going to tell anybody he’s not going to be the next Kapil Dev, but he is nowhere near there yet,” Holding told ESPNCricinfo. While his abilities with the bat have never really been in question, it is Pandya’s bowling which has let him down at times. He came into the third Test between England and India at Trent Bridge with a bowling average of nearly 40 which is nothing to shout home about. Pandya has shot back at this critics after his Trent Bridge display. 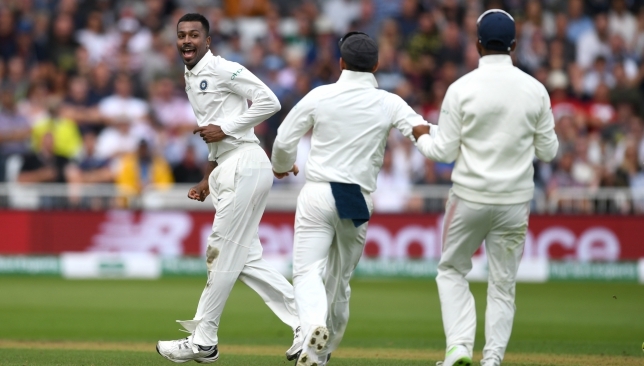 In the first Test at Edgbaston, Pandya was not even trusted to bowl a single over in England’s second innings. At Trent Bridge, he was only thrown the ball due to off-spinner Ravichandran Ashwin having to leave the field with hip troubles. What followed was one of the best spells of bowling by an India pacer in England. Within 29 balls, Pandya had picked up his maiden Test five-wicket haul as the hosts went on to lose 10 wickets in a session. 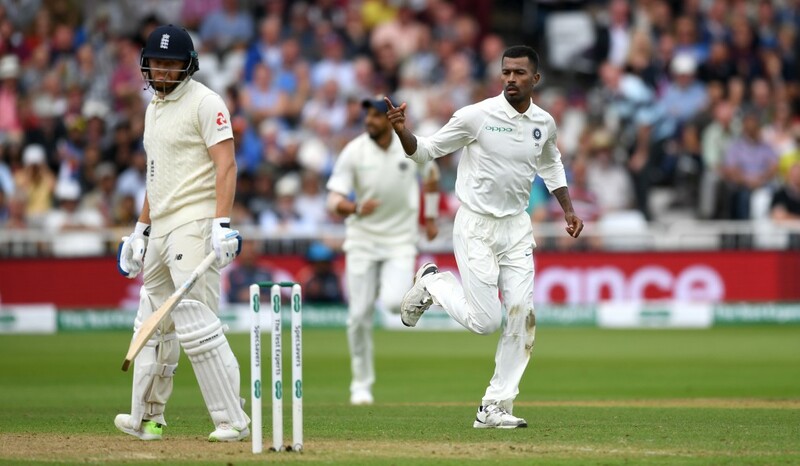 It wasn’t a lack of application from the batsmen that had gifted Pandya his five wickets, which included the likes of Joe Root, Jonny Bairstow and Chris Woakes. It was accurate swing bowling at a decent clip that wrecked the English batting line-up. Pandya had England’s best batsmen in a tizzy. In that one innings, Pandya looked head and shoulders above India’s frontline pacers; Jasprit Bumrah, Mohammed Shami and Ishant Sharma. What worked for him was the fact that he was able to get the ball to move sharply both ways at will. Never one to shy away from speaking his mind, the all-rounder does make a very valid point. For long, India’s obsession with finding the next Dev has seen players like Pathan wilt under the pressure before their careers took a nosedive. Players in the all-rounder’s role have been put under the microscope constantly and have subsequently been found wanting more often than not. The Trent Bridge Test is only the 10th of Pandya’s young career so far and nine of them have come away from home. Only Afghanistan’s maiden Test in June this year came at home, while the others have come in Sri Lanka, South Africa and now England. What Pandya has shown over the course of these 10 Tests is an ability to make a big impact on certain occasions. With the bat, his sole Test ton in Pallekele and his 95-ball 93 in Cape Town come to mind. With the ball, he has been largely inconsistent but his performances at Lord’s and now Trent Bridge reflect a growing maturity and understanding of his role. In 2018, Pandya is only behind Virat Kohli among Indian batsmen with the most Test runs (298). That statistic is more a damning indictment of the failure of India’s specialist batsmen, but it does show that Pandya has not been slacking in his task. One only has to look at the world’s current premier seaming all-rounder in Ben Stokes to judge Pandya’s contribution to the side. The Englishman’s batting average after 44 Tests (33.97) is not too far off from Pandya’s (31.73). In the bowling department, Stokes averages a decent 33.57. 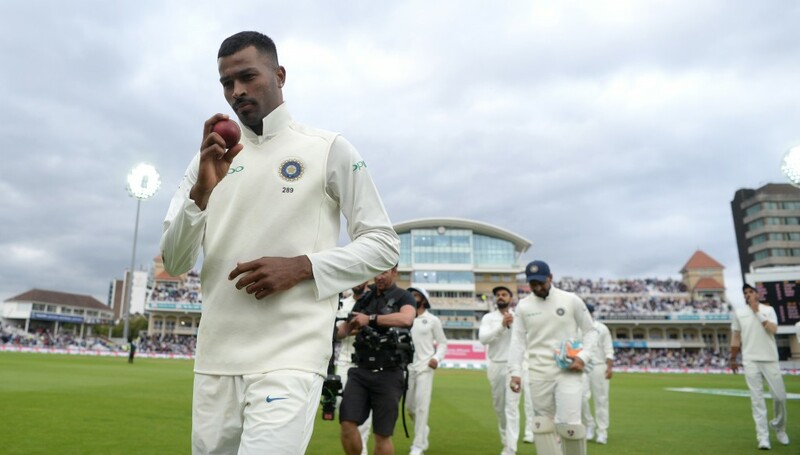 After Pandya’s first inning heroics at Trent Bridge, his bowling average has climbed down all the way to 28.06. It is true that Stokes has performed over a longer period of time with some memorable performances like his 198-ball 258 against South Africa at Cape Town along the way, but Pandya does have plenty of time on his side to morph into a more consistent all-rounder. Pandya’s numbers are not too dissimilar to Stokes’. Having grown up primarily on limited-overs cricket, Pandya has had to make the transition to red-ball cricket without any substantial first-class experience under his belt. The all-rounder has only played 26 first-class matches in his career so far. By comparison, a 20-year-old Rishabh Pant who made his Test debut at Trent Bridge has already played 23. Pandya has had to learn on the move in competitive Test matches and the signs are that he is getting better. What he has already proven is that he is a match-winner on his day who is capable of changing the complexion of the game in an instant. He has his own strengths that he brings to the table and that is the reason Kohli and the team management have persisted with him despite the criticisms and inconsistencies. As Pandya gains more experience, the consistency is bound to grow and India could yet have that all-rounder they so desperately desire. For now, they should just let him be and wait for the finished product they envisage in the future. 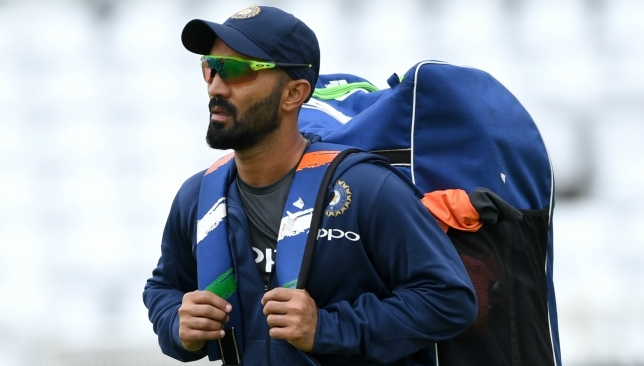 Dinesh Karthik could be facing the axe at Trent Bridge. Less than two days remain for the third Test between England and India to get underway and all the signs point towards young Rishabh Pant being handed the wicketkeeping gloves for the visitors at Trent Bridge. While there is still no telling what team Virat Kohli will pick on the eve of the Test, a potential Test debut for Pant will come as a bitter pill to swallow for Dinesh Karthik. Things had been looking up of late for Karthik as his heroic showings in the Nidahas T20 tri-series in Sri Lanka along with injury troubles for Wriddhiman Saha paved the way for his return to the Test squad after a gap of more than eight years. His first innings in the five-day format since 2010 fetched him only four runs in Afghanistan’s inaugural Test but Saha’s long-term injury meant that Karthik was on the plane to England as first-choice wicketkeeper. What has followed though in England, does not make pretty reading for the 33-year-old. Scores of 0, 20, 1 and 0 have ensued from the bat of Karthik while his glove work behind the stumps has almost bordered on the amateur. Karthik has struggled massively against the swinging ball. Criticism have been directed at Karthik from many quarters but perhaps none of them have been as scathing as former skipper Sourav Ganguly’s. “I think Rishabh Pant has to come into this side as Dinesh Karthik looks woefully out-of-form. I saw him (Karthik) in the nets and he couldn’t put bat to ball. 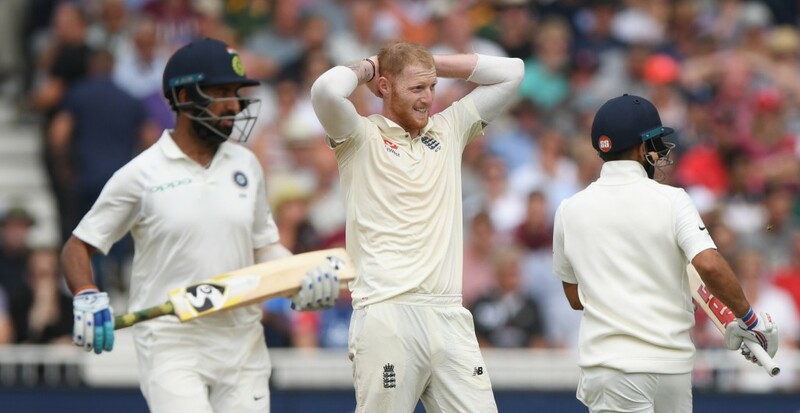 I think a left-hander in the side will help the team and Pant isn’t scarred by India’s losses and he is also capable of changing the course of a game,” Ganguly said on Sky Sports following India’s innings loss at Lord’s in the second Test. Karthik has not been the only Indian batsmen to have failed miserably in the Test series so far but given the fact that 20-year-old Pant has been breathing down his neck with some fine performances for India ‘A’ in their recent shadow tour of England, his position seems to be the most untenable of the lot. Pant’s breakthrough came with a stupendous IPL campaign for the Delhi Daredevils where he blitzed 684 runs in 14 innings at an average greater than 35 and a strike-rate near 163. While his game seems more suited to the limited-overs formats, he has since given ample evidence that he has what it takes to succeed at red-ball cricket. 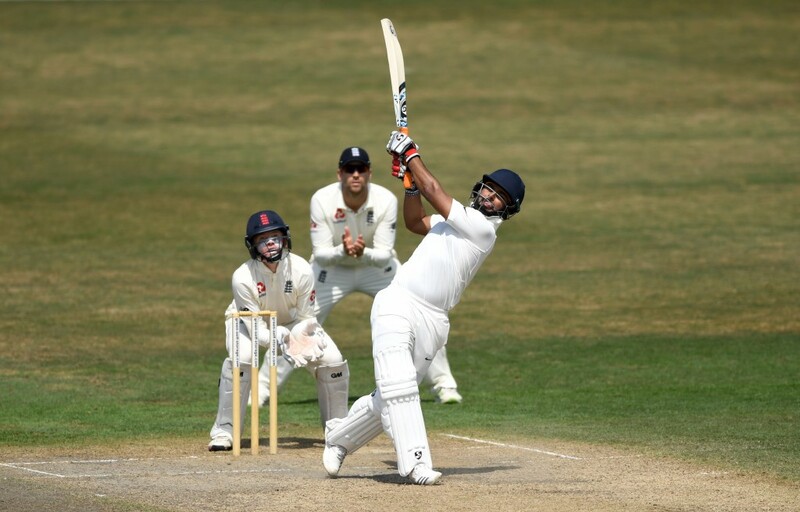 In the two first-class matches that India ‘A’ played on their tour of England, Pant registered three half-centuries in his four innings including two against an England Lions attack containing the likes of Sam Curran and Jamie Porter. Pant has shown he can succeed in red-ball cricket too. His ability to translate his limited-overs form to first class cricket earned him glowing praise from India ‘A’ coach Rahul Dravid. “Rishabh has shown he could bat differently. He has the temperament and skills to bat differently,” said Dravid. “He is always going to be an attacking player, but reading of the situation when one is playing red-ball cricket is required. We are glad he has been picked in the national team and I hope he takes this maturity and builds thereon,” Dravid had told ESPNCricinfo upon the completion of the tour. At his age, Karthik was never going to be a long-term solution to India’s wicketkeeping hopes and when Saha does inevitably return, it will not be a surprise to see the Tamil Nadu man drop down the pecking order. Given India’s extreme batting frailties at the moment, a quick-fire 50 from Pant batting at number seven could be gold dust for Virat Kohli and his men. Such are the dire straits that India currently are in at the moment that a left-field move like bringing in Pant seems like the only viable solution to mend the batting woes. It would be a tad unfair on Karthik given no other batsmen apart from Kohli have covered themselves in glory but Pant’s unorthodox approach to batting might just be the remedy to India’s current ailments. Conventional Test batsmen like Murali Vijay, Cheteshwar Pujara and Ajinkya Rahane have hardly been pulling up trees against the moving Duke ball. It might be time for India to finally throw caution to the wind as they look to salvage the series at Trent Bridge.